Peace of Mind. 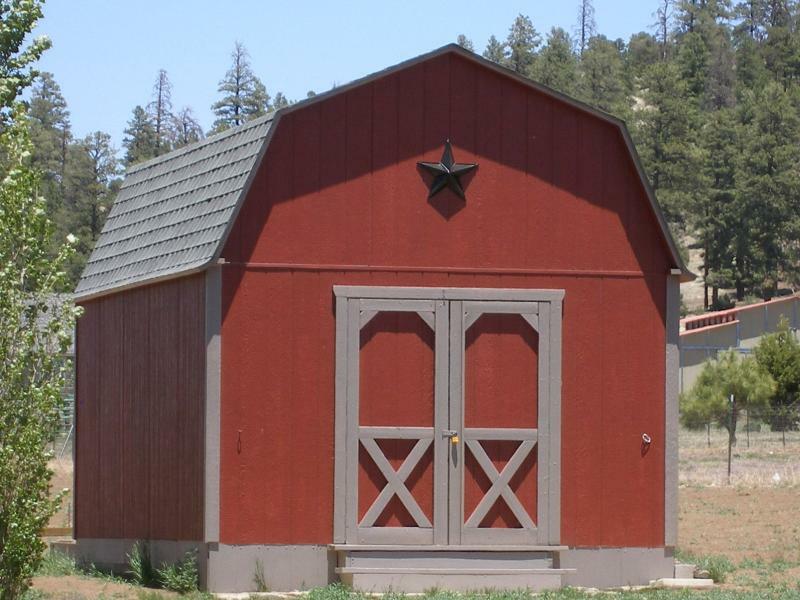 High Country Custom Sheds is a licensed, bonded and insured Contractor (License # 105888) for your protection. Warranty. Every shed comes with a 7 year limited warranty, as well as, material manufacturers warranties. Free Delivery and Construction. Within a 40 mile radius of Flagstaff, $2.00 per mile beyind that. Choice. Pick one of our 3 designs, or create your own. You can decide between 48" or 60" wide double doors with no additional cost. Choose between 25 or 30 year shingles to match your roof. Metal roofing also available with additional cost. Reliability. 2 X 4 and/or 2 X 6 framing. 2 X 4 door frames help prevent warping in our High Country weather. Quality. Smart Panel Siding, finest exterior siding available, comes pre-primed and ready to paint. Includes a 50 year manufacturers warranty. Sturdiness. Floors are built on pressure treated 4 X 4 skids. Floor joist every 12" and 3/4" tongue and groove O.S.B. to support even the heaviest storage items. Click here to find more options available for your shed including windows, lofts and more. 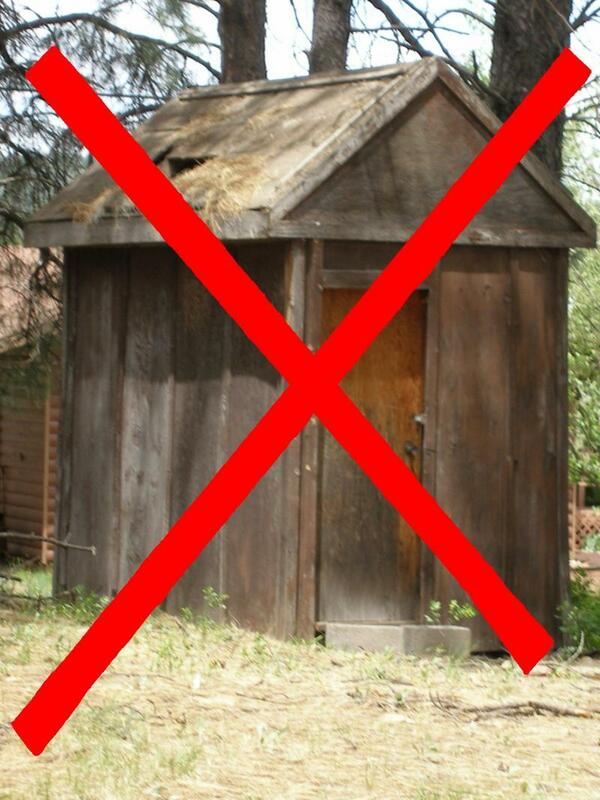 Also, find out what is NOT included with your shed. Other sizes and styles available. Please call for free estimate.